Our beautiful gloss finish gives your photos greater contrast and depth of colour. Luxurious, smooth and shiny, glossy pages give images high colour density, optimal colour graduation and perfect image sharpness. 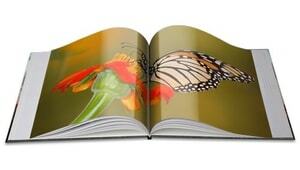 The gloss finish is made with a special UV varnish, giving your photo book a truly professional look. The gloss finish is most like traditional photo paper. Gloss is a matter of taste; some of our customers love it, others prefer the normal (matt) finish. How do I order with the gloss finish? After you click on ‘order‘, you are redirected to the ordering page where you see the option to add the gloss finish. Select ‘yes, I’d like the high gloss finish’ and continue with your order. There is an additional cost per page for the gloss finish and this price varies depending on the size of your photo book. You can find an overview of our prices here.